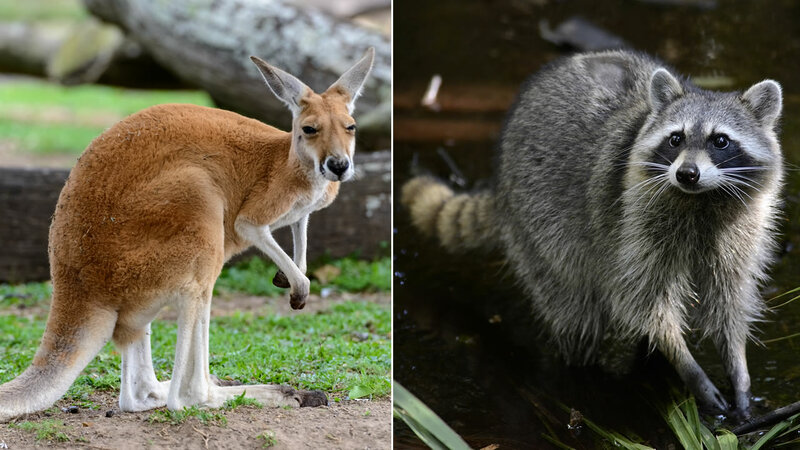 OAKLAND, Calif. -- The CHP received a report on Wednesday of a dead kangaroo on Interstate 580 near the Oakland Zoo but after going to the scene, officers determined the animal was in fact a large raccoon. The animal was reported in the roadway of Highway 580 near Golf Links Road, just down the hill from the Oakland Zoo. The CHP Oakland Twitter account clarified shortly after noon, saying "Reports of a kangaroo on I-580 were false. Said marsupial was actually an enormous raccoon." The account added that a fawn was removed shortly afterward from the other side of the highway in the area. Oakland Zoo spokeswoman Erin Harrison noted that the zoo does not have any kangaroos in its exhibits, but does have a group of wallaroos, a smaller marsupial. "I checked with animal management, all of our wallaroos are accounted for," Harrison said.